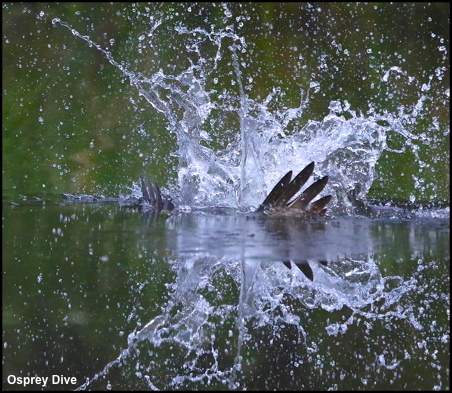 When an Osprey dives in pursuit of prey the impact at 40 miles per hour is enough to take the bird almost completely underwater as shown in this weeks blog photo. Remarkably the Osprey can then take off with its prey, even though it is soaked through. In comparison the Sea Eagle has to pluck its fish off the surface of the water for it is too large to take off from the sea and would have to swim to the shore if it got it wrong.